Description: Jingji 100 (KK100, formerly known as Kingkey 100), formerly known as Kingkey Finance Tower, has a height of 441.8 meters and a total of 100 floors. It surpassed the original 383.95 meters of Diwang Building in Shenzhen. It is the tallest building in Shenzhen before the completion of Ping An Financial Center, the fourth tallest building in mainland China, and the eleventh tallest building in the world . Located in Luohu District, Shenzhen, Guangdong Province, China, it was designed by the internationally renowned architectural design firm Arup from the UK and the famous British architect Terry Ferrar. Because the land occupied by Shun Hing Square auctioned the highest price of land transactions in Shenzhen in the same year, it was called the “land king”, so the public called it the Diwang Building. The building is 69 stories high with a total height of 383.95 meters and a real height of 324.8 meters. It is currently the third tallest building in Shenzhen and the 20th tallest building in the world. The building was built in 1993 and was completed in 1996. Before the completion of the project, Hong Kong Shun Hing Group purchased the serviced residence and naming rights of the project, hence the name Shun Hing Square. The building maintained its first tallest building in Shenzhen for 15 years and was overtaken by the Jingji 100 of 441.8 meters in 2011. 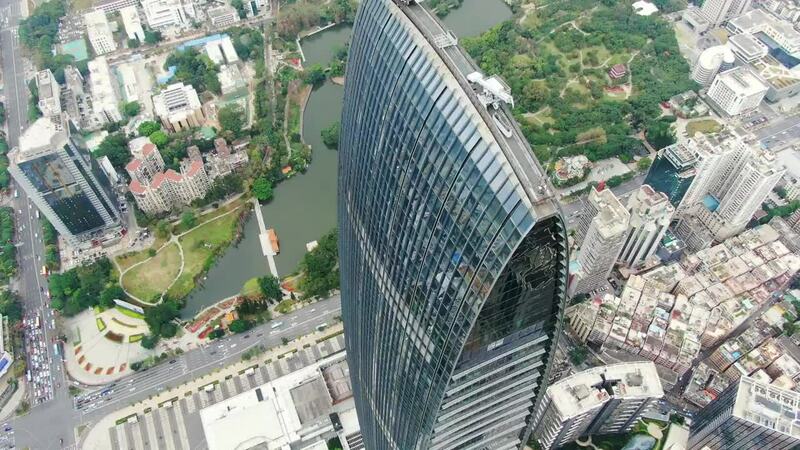 The main purpose of the building is the office, and the top floor of the building (69 stories) is a viewing platform called "Land King Sightseeing", which overlooks the city of Shenzhen and also introduces the history of Shenzhen and Hong Kong.